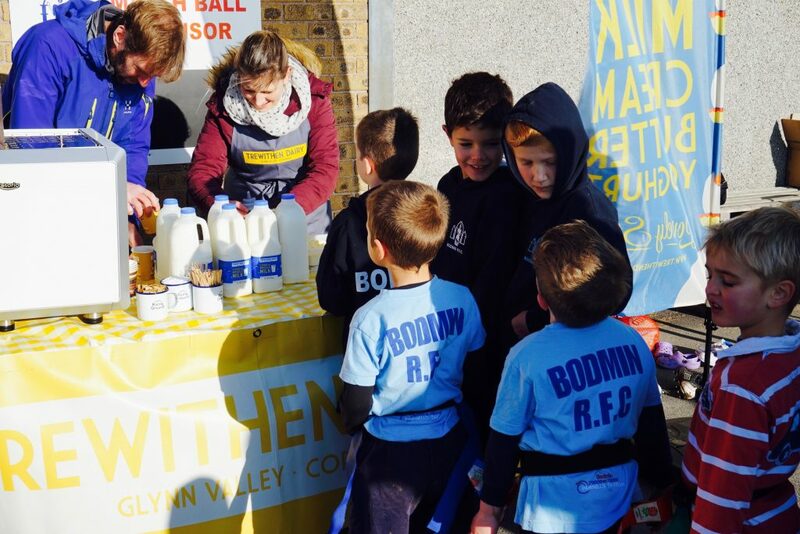 Trewithen Dairy are proud to be supporting Bodmin Rugby Club as it marks its 50th anniversary celebrations this year. 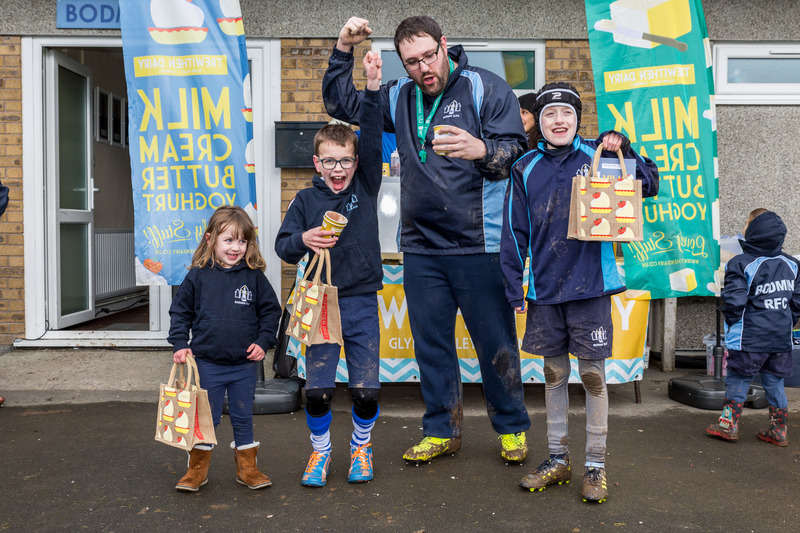 As sponsors of the junior team, we recently took along some delicious hot chocolates to keep everyone warm at a special ‘Try Rugby’ morning, where the club welcomed youngsters to come and have a go at the popular sport. 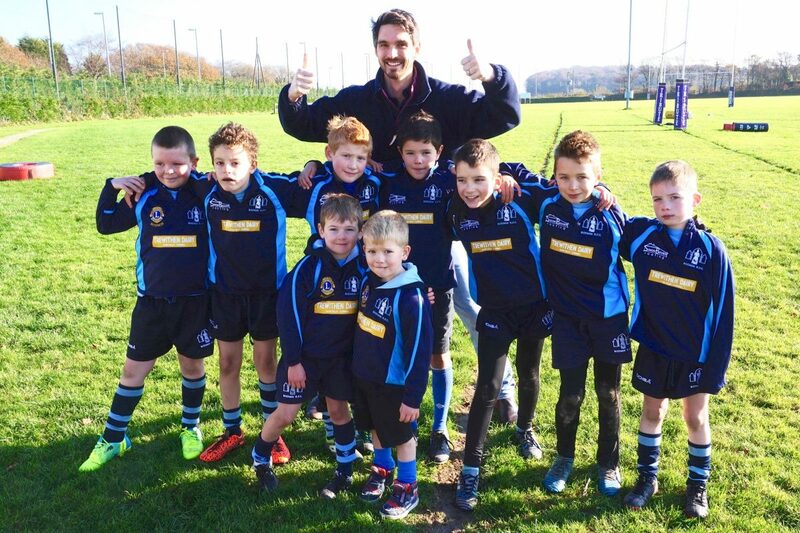 The anniversary is a particularly special milestone for the club, having overcome significant debt and worked hard to gain full RFU accreditation last year, and it is now the only club in Cornwall One League with two full 15 sides. With a keen junior team of 60 children, the likelihood of this continuing looks very promising. 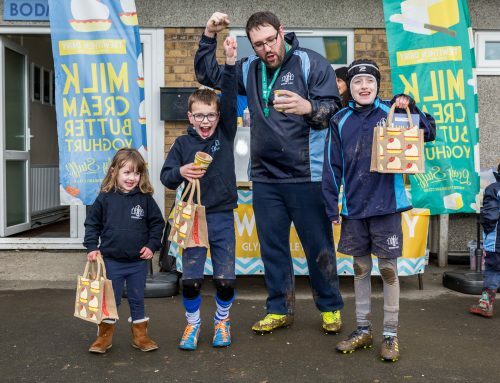 Trewithen Dairy’s Managing Director Francis Clarke attended the ‘Try Rugby’ event to help unveil a brand new kit for the junior team, which Trewithen’s sponsorship helped to fund.